While last week brought Pokémon dreaming and long-awaited samurai action to Europe, this week's update aims for the surprise factor. The upcoming 25th Anniversary of a certain Blue Bomber is celebrated, sort of, a retro light-gun game get's a second chance on the 3DS eShop, while the eShop also gets a demo, free DLC and a retail title. DSi and Wii both get some action, too, with a dungeon crawler and, you guessed it, a Neo Geo fighting game. Let's get to it. Mad Dog McCree (Digital Leisure, £4.49/€4.99) — This re-release of a light-gun arcade shooter that helped to define the Laserdisc era, even if it wasn't as successful as some think, caught many by surprise when it was confirmed. It arrived in North America back in June for $7.99, though Nintendo hasn't confirmed the European price as yet. We'll keep an eye out for that update, but with grainy video that's strictly 2D this is a title to approach with caution, as our Mad Dog McCree review explains. Mega Man (Capcom, £4.49/€4.99) — After announcing a disappointing — to put it mildly — Mega Man iOS social game to celebrate a landmark anniversary for the series, Capcom has decided that it'll throw Nintendo fans a bone by bringing the NES original to the 3DS eShop. We've seen a number of NES releases on the platform and this one could be the most teeth-grindingly difficult of the lot, with the potential for thrown 3DS systems being a real danger. The original may not necessarily be the best but it's something, right Mega Man fans? You can read our thoughts on it in our Wii Virtual Console Mega Man review. Mario Tennis Open (Nintendo, £39.99/€44.99) — Released back in May, this title brought a welcome return to the court for Nintendo's famous mascot. Now added to the eShop as a download — albeit at a premium price — you can see whether it's worth digging out your virtual racket by checking out our Mario Tennis Open review. Mutant Mudds (Renegade Kid, free) — The best things in life are free, apparently, so that bodes well for this DLC for Renegade Kid's Mutant Mudds. This will consist of 20 new levels at no extra cost — content originally released with the recent PC version of the game — and will see you take control of Grannie, who's old enough and wise enough to use all three power-up items at once. The levels will be found as extra CGA-themed doors in each regular stage, with the visuals matching the primitive style of the early '80s tech that inspires them. Oh, and they're free with new and existing copies of the game, in case that wasn't clear. Art of Balance TOUCH! (Shin'en Multimedia, free) — As well as free DLC, this week brings us a demo to try out, with the physics puzzler the latest to join in the fun. A follow up to a highly regarded WiiWare release, this scored an impressive 8/10 in our Art of Balance TOUCH! review, so there's really no reason not to give this free sample a spin. 18th Gate (CIRCLE Entertainment, 500 Points) — CIRCLE Entertainment has released a dizzying number of games on the DSiWare service, and has found time for another with this 2D dungeon-crawler. Played on grids and with the standard top-down perspective, this title challenges you to fight your way through 18 different areas, with three team members to use as you please. We'll be stumbling around looking for treasures and hidden paths in our review, soon. 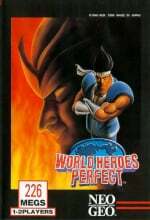 World Heroes Perfect (D4 Enterprise, 900 Points) — If there's one thing that the Wii Virtual Console needs, it's more Neo Geo fighting games. We can safely say that the service is blessed with its fair share of brawlers from the classic system, which isn't a bad thing when they're often of the highest quality. This is the fourth instalment of the World Heroes series, and despite its flaws we still feel it's the best of this particular franchise on Wii Virtual Console; check out our World Heroes Perfect review for full details. So there you have it, will you be downloading anything? Let us know in the poll and comments below; you can also check out Nintendo's official trailer announcing the releases. I would have bought Megaman for €3. Bought the original NES copy with box & manual for €18, so i'm good. 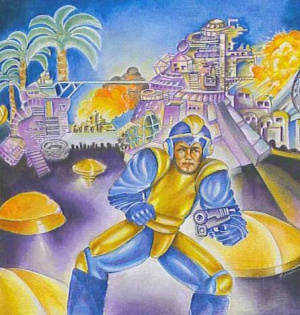 I love the first Mega Man box art, it's so terribly awesome. Nooo, was hoping for Mario Golf. That box art is hilarious however! Look! 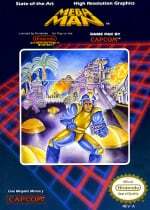 It's bad box art MegaMan! If there's one thing that the Wii Virtual Console needs, it's more Neo Geo fighting games. Too funny. Ha ha. Sarcasm. But seriously, what the Virtual Console really needs is some of the other NeoGeo games. When is cave story going to make it to europe? It's ridiculous. Is the wiiVC going to miss all the great games that hasn't been released yet (snes and 64 especially)? And the same could be said about the eshop. There were hundreds of gb games, they should release one each week. And finally, where are the denpa men? @Omega I felt sarcasm was the only way to go. Across NA and Europe we seem to have a Neo Geo fighter every other week. I'm sure it's not actually that frequent, but it sure feels like it! I am very sorry that Nintendo has given up on Nintendo Video, the service with 3D clips. @Ducutzu Since when have they given up on it? It still updates every week or two as it always has done - the only difference these days is that Nintendo doesn't mention which new offerings are coming in the download update itself. They tend to do it on Twitter now. I love it, but now I see the same Red Bull skating clips return. I think that the focus at Nintendo has moved past that feature. Finally, we get some Megaman goodness. Still waiting on Cave Story though. what the Virtual Console really needs is some of the other NeoGeo games. Well yes, but the NeoGeo is well known for its large number of fighting games. And I am thankful D4 Enterprise are still supporting the Virtual Console when everyone else has given up on it. It doesn't matter to me that the NeoGeo is playing catch up. In actuality, since August the last six releases have been NeoGeo games but two of them are not fighting games. Metal Slug and Baseball 2020 don't interest me though. I would be happy to buy more DSiWare games (particularly to support Circle Entertainment) if they could run directly from the SD card. Hope Mega Man comes to NA tomorrow. That game gave me my first mid-life crisis as a 14 year old in the late 80's. Mutant Mudds' free DLC is coming on the 18th right? Didnt they mention the free dlc for Mutant Mudds? I remember that box art in the store. Had to see a screen shot in the official Player's guide to get interested and then when I played it! The original was a great and often overlooked game because of that US box art. Good to see the NES Mega Man games again, but I hope it doesn't mean they're done with re-releasing the Game Boy ones. I've now updated this article with the free Mutant Mudds DLC (20 levels), which arrives this week in Europe and 25th October in NA. Rejoice! @Omega I agree, these NeoGeo fighting games don't interest me but shoot 'em ups like Pulstar that Japan has do. Mutant Mudds is getting the level update as well? Joy! I loved that game, I beat it 100% three times! Love Mutant Mudds, I'm so getting those 20 free levels. That box art is a masterpiece! Compared to other NES artwork at the time, that was pretty decent. And since it was the first Mega Man game, there wasn't an established look how Mega Man should look like. In 2012, it is bad. In 1987, not so much. Look up other artwork from 1987. Neat little video Europe got to tell what is coming. I can't bring myself to vote for Mad Dog McCree but having played the original arcade game a bit, I might crack and download it just for a cheap laugh at the B-Movie acting I've also paid to download other turkeys like Dragon's Lair 1 & 2 and Space Ace in the past purely for the nostalgia value too Will definitely get the free Mutant Mudds update though. You guys lucked out; North America's still waiting for "Mega Man 1" on our eShop. Enjoy it. please Megaman 1 for Eshop USA!!!!! >_<!!!! It's a ok week for downloads. Love to see a new NES game on the 3ds and a new VC game. Also, the dlc is good stuff! Otherwise the rest is forgettable.. Yes, that was sarcasm (seriously though, I hope you guys get Denpa Men & Cave Story soon. Just remember, not all of our eShop titles are top notch. Just look at Mad Dog, you'll probably be getting more like that, in addition to the good stuff). Are you guys gonna do a mini review of the new levels for Mutant Mudds? If I remember right the original had 20 levels, so this is a pretty significant upgrade! HAHA @EUROPE, NOW IT'S YOUR TURN TO PLAY MAD DOG MCCREE. Acording to another website, Mario Tennis Open is appearently being added. Got Megaman. This will be my first Megaman game ever play^^ is it true that they are extremely hard? @Tobias95 oh yes.. they are hard as nails.. but that makes it more rewarding when you beat it! have fun! Well I'm going to get Mad Dog McCree, huge FMV fan. No matter how cheesy. I will also go for Mega Man and of course for the free DLC for Mutant Mudd. Hopefully with some sort of Boss level.